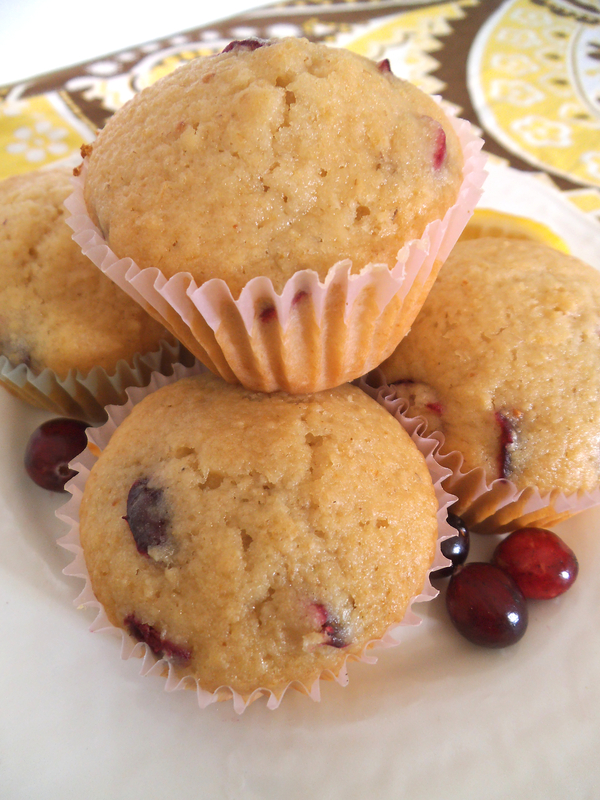 Lemon and fresh cranberries pair beautifully to create tender, tart-and-sweet muffins that are just as fitting for breakfast as they are for the dinner table. These quick-to-disappear muffins are something I want to make for Thanksgiving too, which is coming very soon here in Canada. Then I plan to make them again for American Thanksgiving in November. Another batch or two will be gobbled down in between the two occasions. They are that good! Preheat oven to 350 degrees F (180 C). In a medium mixing bowl, stir together flours, baking powder, and ginger. Combine sugar and berries in a separate bowl and set aside. In a separate bowl, cream together softened butter or oil and honey. Beat in eggs until smooth. Add lemon juice and water and stir until well combined. Add dry ingredient mixture to wet mixture and stir to form an even batter. Fold in sugar coated berries and sugar. Line muffin cups with muffin liners or grease muffin tin cups. Pour in batter. Bake for 10 to 14 minutes or until middle of muffins tests done. Cool slightly and remove muffins from tin. Serve warm or at room temperature. This recipe is part of Muffin Tin Month, and may also be shared here. I love cranberries at this time of year! 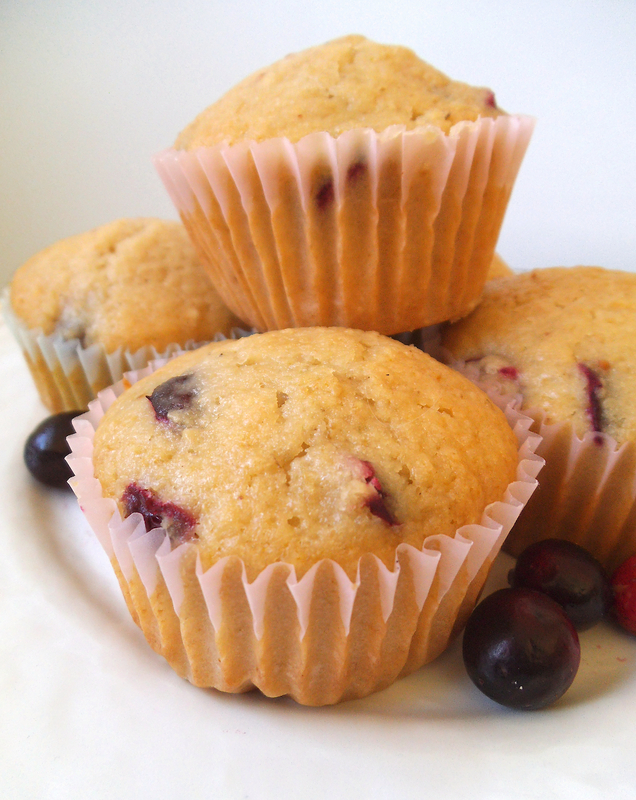 I make muffins almost weekly, so I’m always looking for great new recipes – love how healthy these are too. Thanks, Anna. I think you’ll enjoy them; I am eager to make another batch! I need to replenish my lemon supply so that I can bake more for Thanksgiving. Would love to hear how they turn out for you! I need to try these! I actually have lemons and cranberries in my fridge right now – perfect! Yes! I am so happy to hear that! Enjoy! Thanks, Kelly! I’d bring you a plate if I could! Yum. I love the combination of cranberry and lemon flavors. Stopping by from the Pintastic Pinterest Party and pinning to my muffin mania board.